You will find many forums online where people are quick to pitch different natural home remedies for toenail fungus that they’ve tried. Vicks VapoRub and an apple cider vinegar soak are two of the most common treatments mentioned. The low cost and low risk of side effects make these options enticing, although there is no scientific data proving that it’s not simply wasted time. 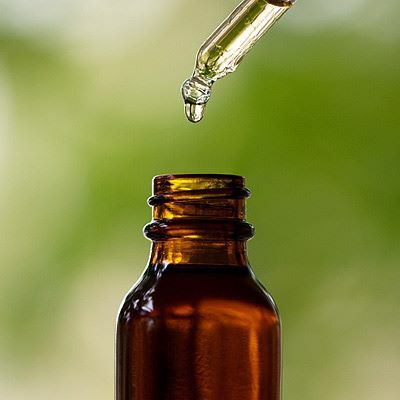 There is, however, one natural toenail fungus cure worth mentioning; as we’ve previously reported, 60-80% of people who try 100% tea tree oil find relief from symptoms within six months. Tea tree oil is one home remedy that has been reported to help mild cases of toenail fungus. Penlac (ciclopirox) is a commonly-used topical medication for mild toenail fungus. People are generally given nail lacquers if they have compromised immune systems, past history of liver failure, or other issues that may stand in the way of treatment. While topical remedies have a lower risk for side effects, it could take up to a year of use before any results are seen. One randomized controlled study found that ciclopirox has an semi-decent cure rate. There is also a significant rate of recurrence. You would think with so many different types of antifungal drugs, they would have found something that works. Popular names include Lamisil, Diflucan, and Sporanox. These medications have a better success rate than topical remedies for foot fungus, but they also come with the added risk of liver damage. Patients need to take the drug daily for three to six months. Furthermore, Web MD states that 15-20% of patients who spend the money on antifungal pills tend develop another infection within a year. Of all the treatments, laser nail fungus removal shows the most promise. The benefit of laser therapy is that it asks very little of the patient beyond financial investment. Instead of having to take a drug or apply a lacquer every day for months on end, the afflicted individual just shows up for a quick 20-minute treatment once or twice. Then, as with any treatment, the patient waits for the infected nail to grow out and the healthy nail to grow in. On the downside, there haven’t been many randomized clinical trials that prove the efficiency of these lasers, so insurance companies do not cover the procedure. The price tag can be over $1,000 in some states, so this may not be an option for everyone. It seems no treatment is perfect, so it really boils down to what appeals to you. Adam Ullman underwent treatment for toenail fungus using oral antifungal medication three times. The infection kept coming back time and time again. After speaking with his podiatrist, he realized that a large part of the problem was that he was sticking his feet into contaminated shoes everyday. So, no matter which type of toenail fungus treatment suits your needs best, you will need to treat your shoes, as well, if you wish to remain fungus-free. Shoe Care Innovations is offering a free 30-day trial of their ultraviolet shoe sanitizer. Take it for a test-drive here!